I think Mexican cuisine is pretty awesome. It’s full of flavor, homey, comforting, and often low-cost and easy to assemble. Mexican food also offers a lot of variety, ranging from tacos to fajitas to empanadas and soups. 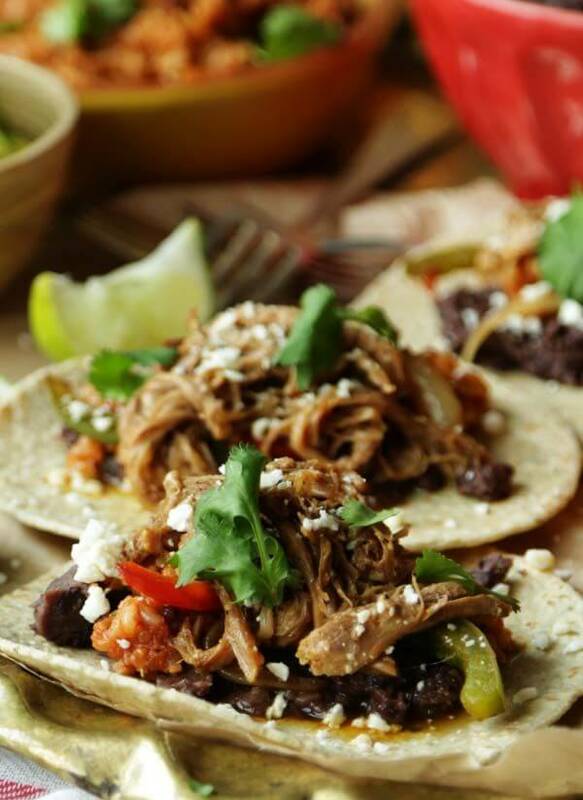 No matter what type of meal you’re in the mood for, you can do it with Mexican flair. And no matter what you make, it’ll be even better when topped off with homemade salsa–even just a quick pico de gallo or guacamole can elevate a plain dish to something special. So if you’re ready for some south-of-the-border cooking, these recipes are for you! For Mexican pork with extra flair, make this riff on tacos al pastor. A dish that’s often made with pork and pineapple, this one relies on a different kind of citrus – freshly squeezed orange juice. Aside from that, all the pork needs is a little seasoning in the form of oregano and cumin. You can serve these carnitas tacos with diced pineapple if you like, but it’s even better with refried beans and crumbled cotija. 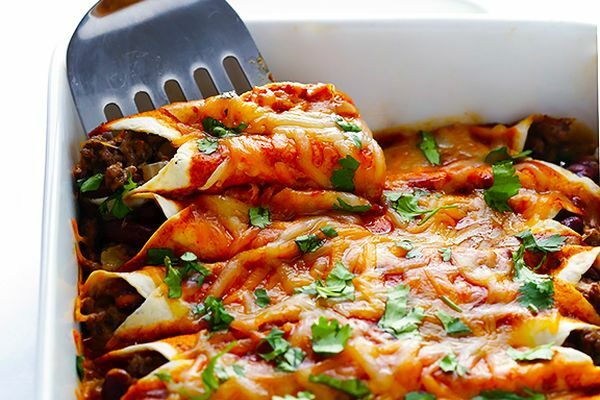 These beef enchiladas don’t take long to assemble in a baking dish, and including time in the oven, they’ll be ready to eat in an hour. You can pick up a canned sauce, or use what’s in your cupboard. But with the ingredients below, plus an extra 15 minutes, you can make enchilada sauce from scratch. Heat the oil, stir in flour, and a minute later add the seasonings. Slowly whisk in the stock, and simmer until thick. 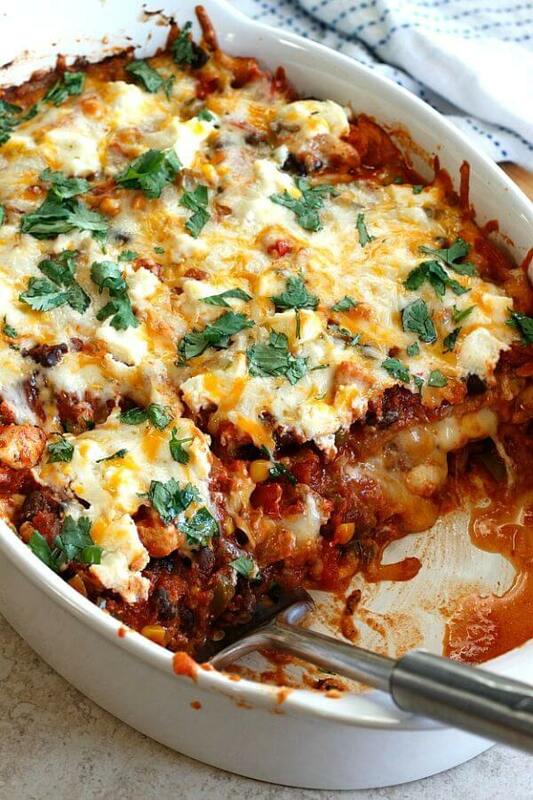 When you combine Italian lasagna and Mexican enchiladas, you get this dish. 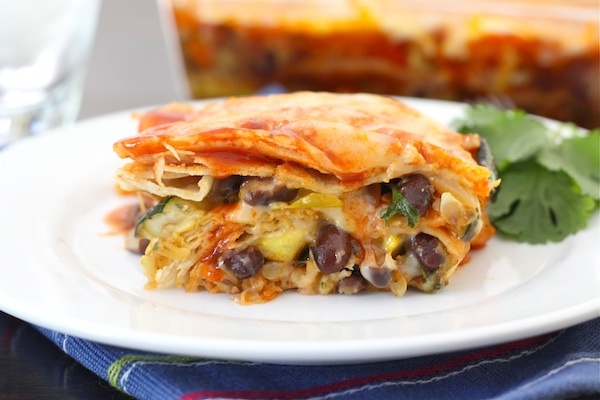 Whole-wheat tortillas are used in place of lasagna noodles, layered together with veggies and chicken. There are also three cheeses: Monterrey jack, pepper jack, and ricotta for creaminess. It only takes one bite to realize this mash-up of comfort foods is totally worth making again. 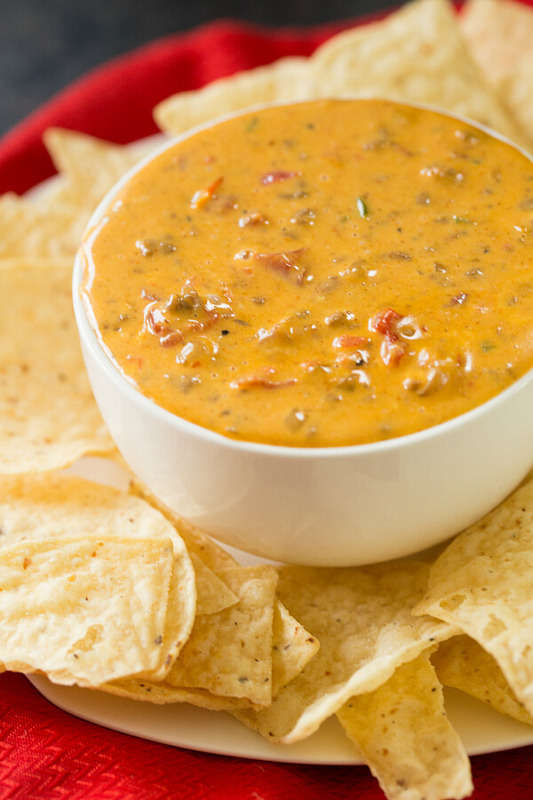 Crock Pot queso goes beyond cheese dip with added protein in the form of lean ground beef. And you don’t even need to rely on Velveeta cheese if you make your own at home using Iron Chef Michael Symon’s recipe. In a blender or food processor, combine unflavored gelatin and dry powdered milk. Pour boiling water over the top, and pulse. Add shredded cheddar cheese, and puree until smooth. Let it set in a plastic wrap-lined loaf pan for at least 12 hours. You’ll end up with the ultimate nacho sauce. Think you can only use white fish in Mexican cuisine? 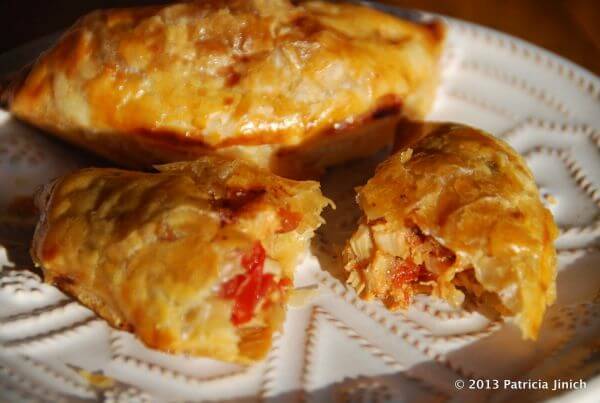 These empanadas use canned tuna to prove that notion wrong. By the time you’re done folding the filling into flaky puff pastry, you’ll be impatiently waiting to bite into the freshly baked empanada to taste the mix of raisins, pickled jalapeños, olives, capers, and seasoning. 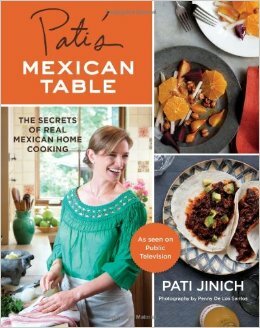 For more amazing Mexican recipes, pick up Pati’s Mexican Table: Secrets of Real Mexican Home Cooking. Elote is a popular Mexican street snack made with fresh corn coated in a mixture of cotija cheese, mayo, lime juice, and chili powder. 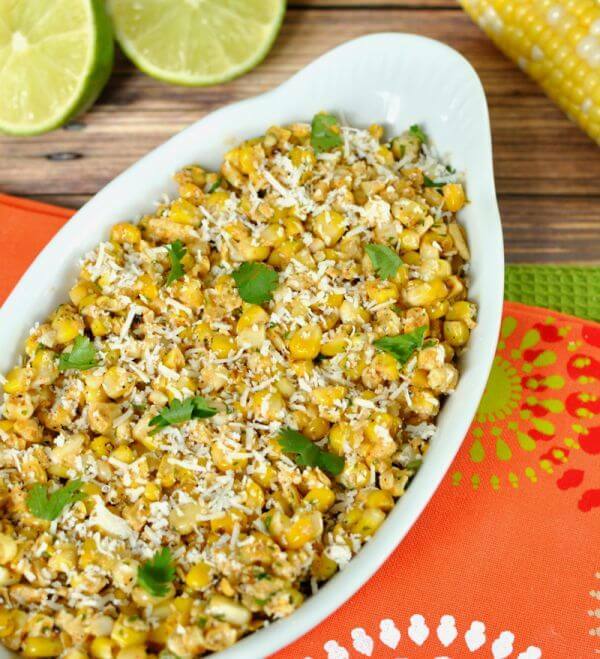 By taking it off the cob and turning it into a salsa, you can enjoy this lively corn combo on everything. Serve with tortilla chips for a quick party dip, or keep it on hand to have as a topping for tacos and enchiladas. 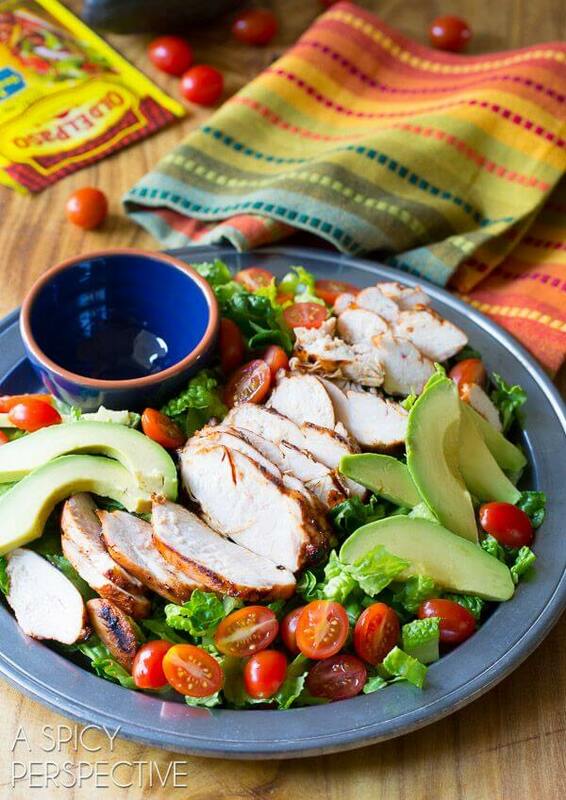 This Mexican salad gets extra spice from the chicken breast, but there are enough ingredients to go meatless if you choose. This a garden salad upgrade with not only tomatoes but avocado, corn, green onions, and bacon. Yes, this is a BLT complete with ranch dressing, plus everything you love about Mexican food including spicy salsa. For a one-of-a-kind Mexican salad, use cauliflower instead of rice. 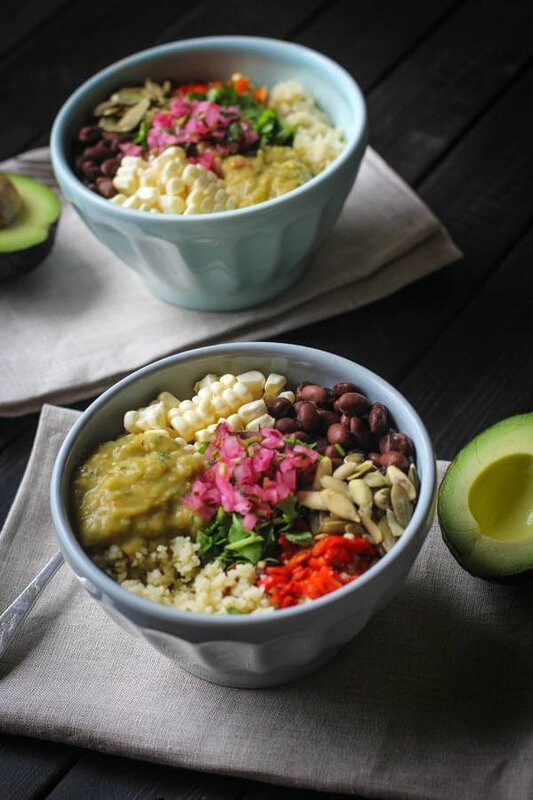 The result is a grain-free “rice” bowl with black beans, corn, red pepper, red onion, and fresh cilantro. You can mix in any kind of Southwestern ingredients to round out the bowl, including toasted pumpkin seeds and fresh guacamole. 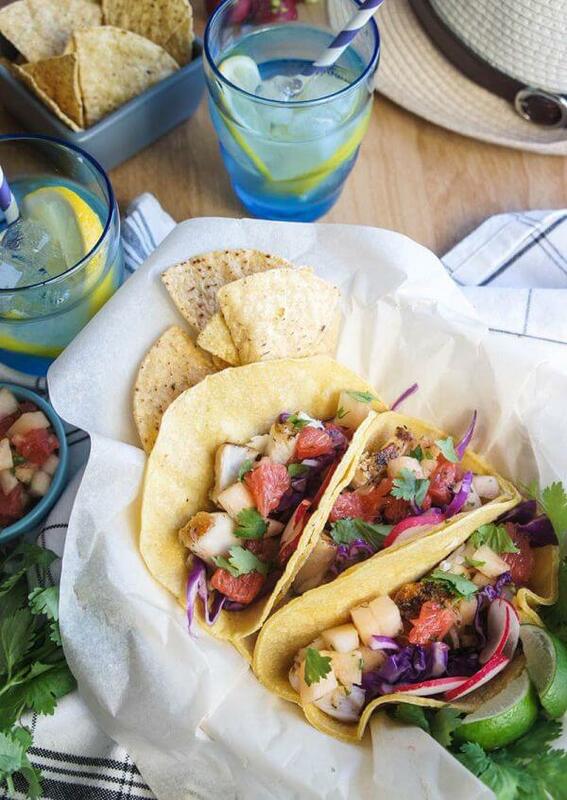 Some fish tacos end up being glorified Mexican fish and chips. But you can do better. 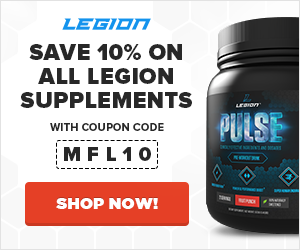 These beat out other versions in terms of both flavor and nutrition. To start the tacos, pan-fry a large red snapper steak. Combine with fresh avocado, shredded red cabbage, and salsa. You can choose a savory-sweet premade salsa, but it’s worth the time to make one from scratch with grapefruit and cantaloupe. 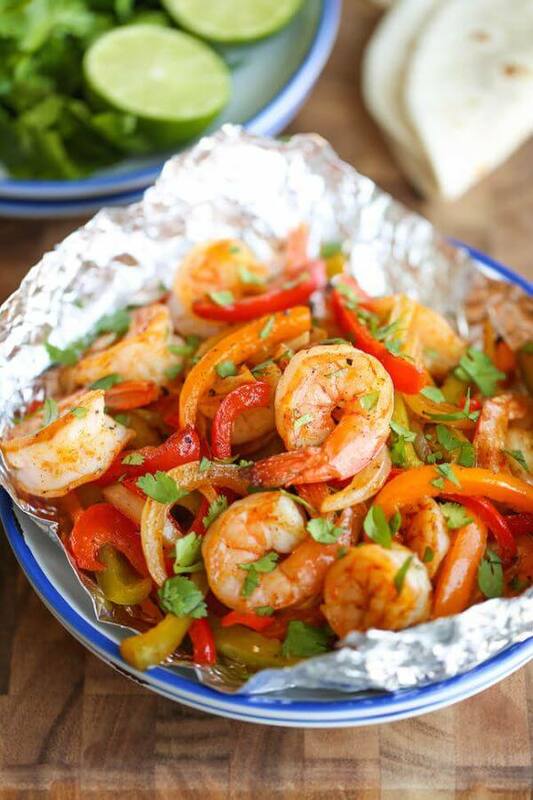 Fajitas come together in a flash when cooked in a pan on the stove, but they’ll be even easier to prepare in a foil packet. All you have to do is wrap up the ingredients, and bake them for about 10 to 12 minutes. Warm up tortillas, and dig in. Then crumple up the foil to clean up the ideal weeknight dinner. 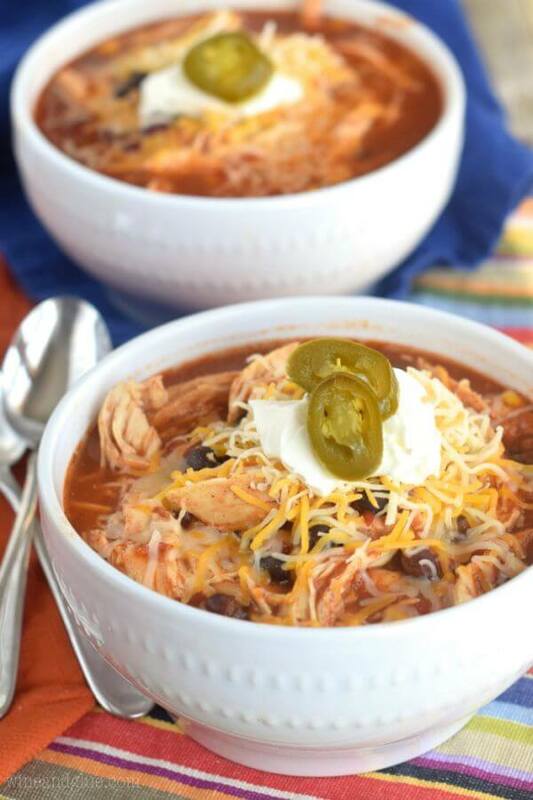 You’d be hard pressed to find a soup that can rival chicken tortilla for depth of flavor. And the way the corn tortillas cook down creates a silky texture unlike any other thickener. In fact, leftovers might become so thick while sitting in the fridge that you may need to thin the soup out with water. 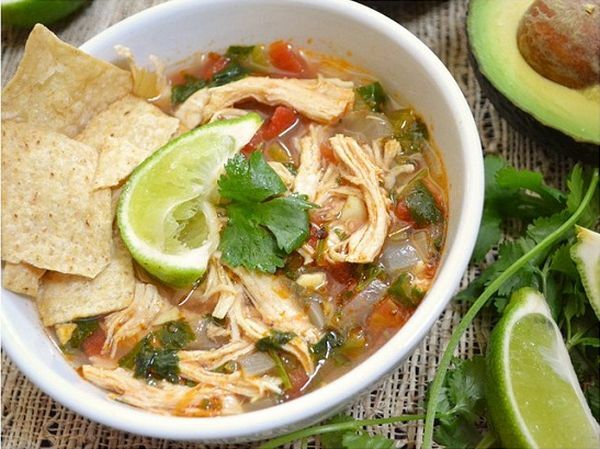 This chicken soup is amazing enough on its own, or you can garnish with fresh cilantro, diced avocado, or crushed tortilla chips. One of the easiest, most nutritionally balanced comfort meals is shepherd’s pie. But if your taste buds need a week off from the original, infuse the dish with Mexican flavors. Instead of carrots and peas, there are black beans and corn. And rather than mashed potatoes, there’s a mixture of sweet potatoes and quinoa. 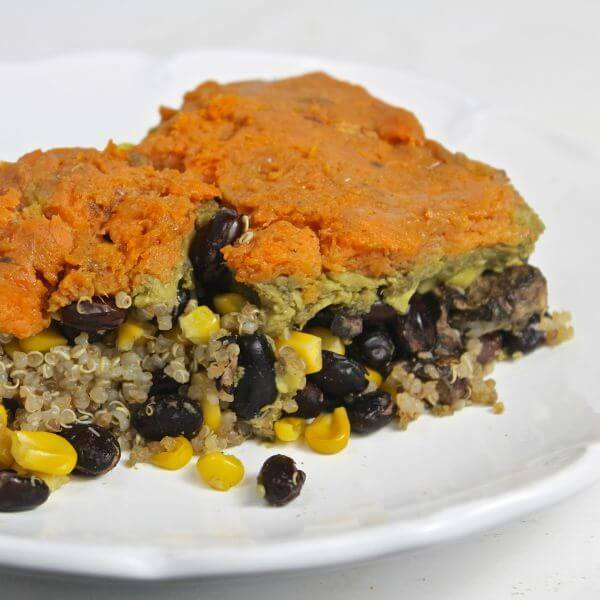 The final result is a vegan Mexican casserole that you can serve to any crowd. 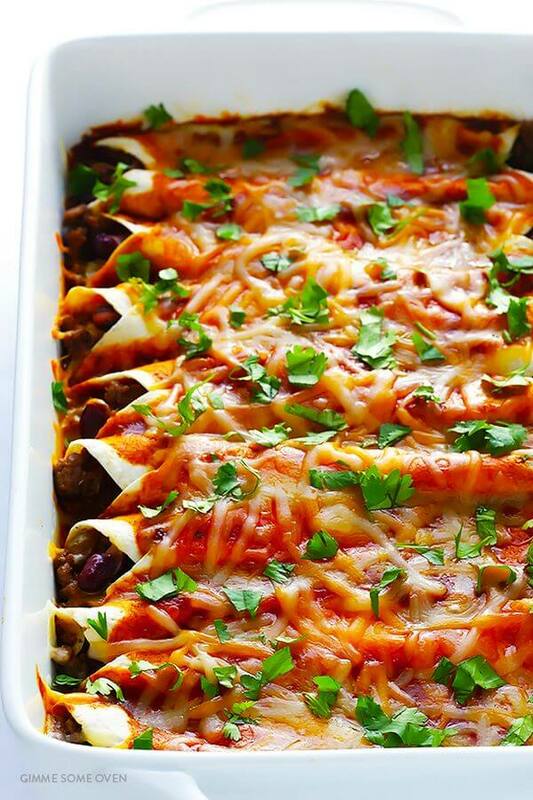 This ground beef casserole is a great way to enjoy tasty taco filling with less tortilla. 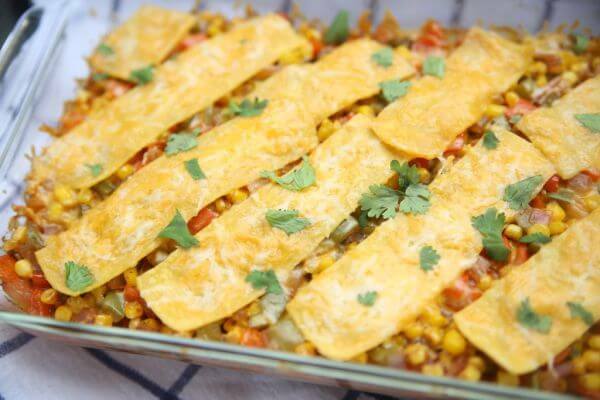 There’s still a layer of corn tortillas on top, but overall this dish is packed with protein. It also has a serving of veggies, and for even more, this casserole can be served it over leafy salad greens for a Mexican salad. 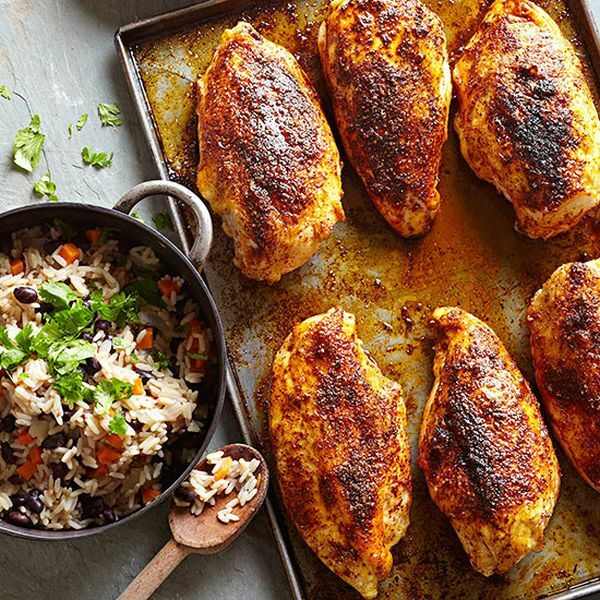 Whether you want to enjoy the juicy meat in tacos, burritos, or just as is beside a side of Mexican rice and beans, it’s important to know how to bake delicious chicken breast. Infusing them with flavor takes a blend of seasonings, but what brings the spice together is fresh lime zest. That’s easy to mix together for a rub, and then the chicken breasts get broiled until the skin is lightly crisp. For a Mexican soup that’s lighter than chicken tortilla or pozole, make this recipe. It uses fresh lime juice to make a tomato broth that’s bright. And just the right amount of jalapeño adds heat without going overboard. Like many simple soup recipes, this one starts by cooking the diced onion, celery, pepper, and garlic in the bottom of a stockpot. Then the chicken broth, tomatoes, and chicken breast go in to simmer. After an hour, the meat is ready to shred, and the final touches are added before serving. Vegetables take on deeper, sweeter flavor when roasted. Take those roasted veggies and combine them with Mexican spices and enchilada sauce, and their natural greatness will be even more evident. Even picky kids (and adults) will love this cheesy vegetable casserole. And it’s just as good (if not better) as leftovers the next day. Stuck on convenience food? The first step past it is to make your own frozen chicken burritos. Prepare these in at home in a half hour or less, and you’ll have Mexican food to pull out of the freezer whenever you’re famished. 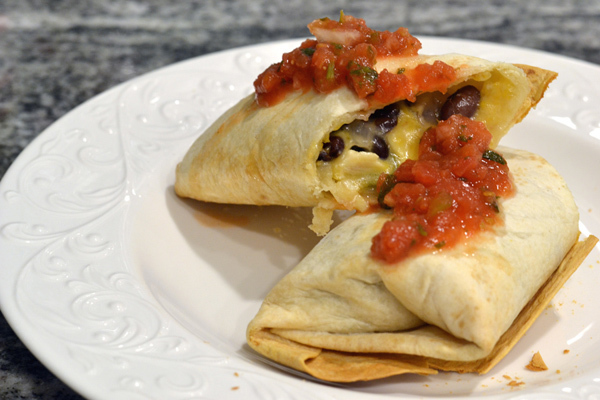 This recipe uses black beans, chicken, and cheese for the filling. But you can make premade burritos with a variety of ingredients like sautéed veggies and braised beef. For an easy brunch that’s eye-pleasing, look no further than huevos rancheros. And for this version, you don’t even have to know how to fry sunny side-up eggs. 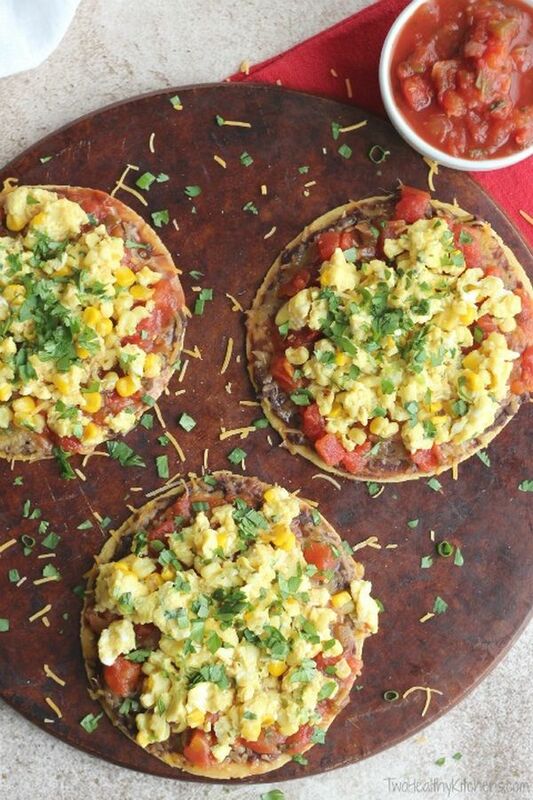 Instead, assemble these mini Mexican pizzas on top of small corn tortillas. On top of a base of refried black beans and salsa, add scrambled eggs. These pizzas don’t even have to be baked. Simply cut them into wedges, and serve with extra salsa. 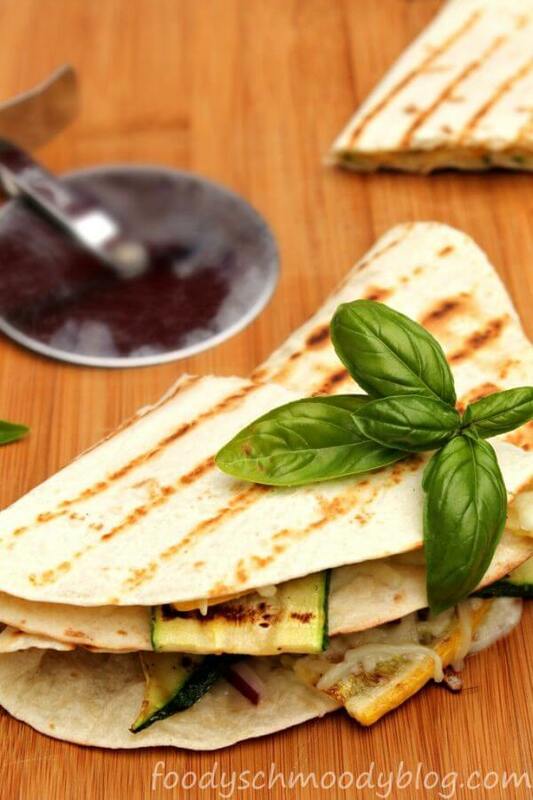 Since the word ‘quesadilla’ is based on ‘queso’ – Spanish for cheese – you can’t make the filling without it. But that doesn’t mean you can’t add other ingredients, like healthy veggies. Anything goes inside a quesadilla, and this recipe would be a great way to use an abundance of squash. However, if you want to make it a bit traditional too, swap out the mozzarella for Oaxaca, which has a similar texture. When a cake is named for three kinds of milk, how can it be dairy-free? 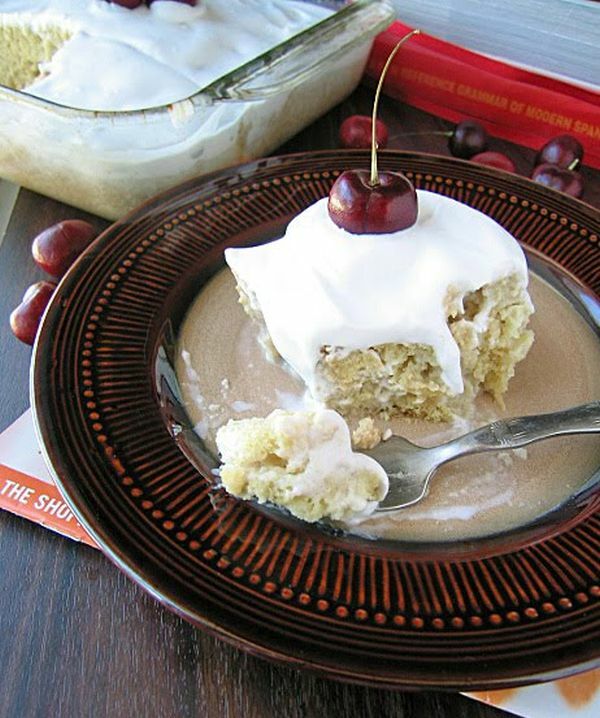 Using coconut milk, almond milk, and vanilla soy milk, it’s possible to replicate the rich sensation of the traditional soaked cake. And since it’s as easy to make coconut whipped cream as the other kind, you’ll have the perfect topping to complete this Mexican dessert. What did you think of these easy Mexican recipes? Have anything else to share? Let me know in the comments below!